New York’s business leaders are endorsing Gov. Andrew Cuomofor a third term, despite the minimum-wage increases and paid family leave requirement that he pushed over the past four years. The Business Council of New York State political-action committee made its decision after hearing from both Mr. Cuomo, a Democrat, and Dutchess County Executive Marc Molinaro, the Republican nominee. 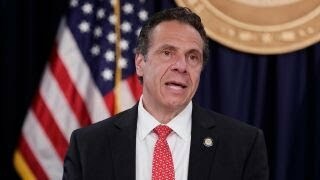 Will Cuomo’s comment hurt the Democratic Party?